Properly measured, management can set corporate objectives that, by definition, fulfill its commitment to shareholders to allocate resources to their most productive uses. Operating managers and the finance and planning staff can determine their degree of success and such objectives can be expected to improve motivation and morale. The problem is finding the proper yardstick to measure the productive allocation of resources. Shareholders also benefit from a proper measure of corporate performance because, first they can evaluate the competence of their company’s management and, second, if a performance standard is attained, they can anticipate an appropriate reward for the business and financial risks they bear a cash dividends and an increase in the share price. If corporate performance affects prices, potential investors can measure performance to calculate the fairness of firms’ share prices and thus select appropriate vehicles for investment. Government can avoid irresponsible accusation directed towards corporate management for misdeeds such as monopolistic and oligopolished practices if corporate performance is measured properly. Exceptional results can be identified and analyzed for their cause and effect and appropriate public policy can be implemented. Some of the quantitative and financial measures of performance are (a) Profit (b) Learning per share (c) Annual rate of growth in profit (d) Rate of return of shareholders equity (e) Rate of return on sales (f) Net cash flow (g) Cost (h) Residual income. Unfortunately, these popular measures of corporate performance suffer from a multiplicity of problems. Profit is often stated as the main measure of corporate performance. There are two dimensions of profit- quantity and efficiency. Profit may be kept up or down to reflect managerial wish by cutting down or increasing expenditure in research, maintenance and certain kinds of advertising or by realizing or unrealising asset at the proper time. Further, another principal shortcoming of this measure is that a desire profit can be achieved even if the company undertakes substandard projects which could have adverse effect in the future. Moreover, profitability can be increased if there is access to either free interest or low rate, the high profit in this instance may thus not necessarily portray a better use of available resources. This high profit does not necessarily mean impressive corporate results, other criteria are therefore needed. Earnings per share (EPS): This is bottom line profit divided by the number of shares outstanding, perhaps the most widely employed and best known criterion. However, it possesses four principal disadvantages. EPS confuses investment decisions with financing policies. As a result, substandard projects can be judged highly desirable. Simply by evaluating capital expenditures and their financing requirements simultaneously and using sufficient debt, a predetermined desired EPS can usually be achieved. This error is most obvious in the evaluation of prospective mergers and acquisitions. EPS can encourage management to utilize debt because the gearing created usually leads to increases in EPS, even though the benefits of debt shareholders have nothing to do with EPS. E.g. extra ordinary successful companies that sell at a high price – earnings ratios, focusing on EPS can convince management to employ a debt free policy that reduces the share price. EPS is not a primary, non-transitory, determinant of share-price. That is, EPS and share prices are spuriously and occasionally correlated. As is often the case when EPS is increasing rapidly and a company’s share price is falling, management can erroneously conclude that investors are irrational or poorly informed when the reverse is true. Thus, EPS fails to meet the needs of shareholders and potential investors for a performance measure that links corporate results and share price. EPS waste management’s time. Focusing on EPS means spending a lot of time on trivial decisions, such as capitalizing versus expensing research and development cost, or expensing goodwill that results from “purchase” accounting for acquisitions. As a result, significant decisions are improperly studied, including switching from FIFO to LIFO inventory accounting during periods of persistently high rates of inflation. EPS is simple to calculate and easy to understand. But these are poor reasons for its use as an objective measure of corporate performance, when an alternative indicator is available that avoids its shortcomings. It is a common widely accepted yardstick for measuring business success. It develops a keener sense of responsibility and team effort in divisional and departmental managers by enabling them to measure and evaluate their own activities in the measure and evaluate their own activities in the light of what is achieved by other managers. Management results can thus be compared internally and externally. It is convenient yardstick for comparison of business prospects in different industries. It focuses management attention upon earning the best possible in the capital (Total Assets) available. It aids in detecting weakness in respect to the use non-use of individual assets. However, it is almost as perverse on indicator of performance as profit. Focusing on return on equity with the type and timing of financing employed. Thus, two companies that have identical assets and trading profits, can end up with vastly different ROE if they have different debt-to equity ratios or the interest rate paid on their debt is different since the debt to equity ratio is largely at management’s option, and because borrowing on different days of the same week can account for varieties in interest rates, ROE is not an optional measure of performance. This is the net profit divided by sales and indicates the margin of profit or turnover. As an indicator, it can easily misdirect management’s function to allocate capital most efficiency. ROS fails to take into account the investor’s capital contribution. For example, retailers can afford to generate an ROS of only 1 to 2 percent because they turn their stocks over at least ten to 12 times annually. On the other hand, capital intensive companies, such as paper manufacturers, require a Naira of assets to generate a Naira of sales. That is, they turn their assets over only once a year. A 1 to 2 percent ROS for them would therefore mean a 1 to 2 percent return on Assets- hardly an adequate measure of performance. Which is the more successful plant? If absolute profit (effective/quantity measure) is the test, Plant B is more successful; if rate of return (efficient measure) is the test, then plant A is better. Thus, the manager need to be given some instructions as to what their objective should be, as in what it is they should attempt to maximize. And if, as in so many companies, the instructions are to maximize the rate of return, a manager cannot be blamed if he restricts his investments, as in plant A, for this, in effect, is what he has been told to do. The fact is that the question whether plant A or B is the more successful one cannot be answered correctly without taking into account the cost of capital. The method that attempt to reconcile this is the residual income. This is the excess of profit (earnings) over the cost of capital. Suppose the cost of capital is 171/2 percent. Then plant A alone can be called the more successful, while plant B is misapplying capital which is costing more than it earns. 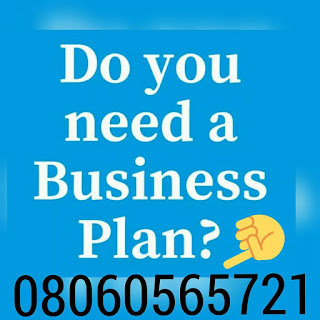 But if it costs only 12 percent, venture B now becomes the more successful plant, for capital invested there is earning N1,500 more than it cost where as the capital in plant A is earning only N80 more than it cost. This illustration shows that while the plant while the plant which gives the higher rate of return can be pointed to unequivocally there is o simple answer to the question to the question of which venture is more successful in terms of the excess of its earnings over the cost of capital it employs. Which plant B is more successful at high rates. A mere comparison of rates of return obscures this fact. Now suppose the cost of capital is 15% Plant B earns more than this, but Plant A can again be said to be more successful for its excess of its capital – N600, whereas B’s is only N500. Another way of expressing the point is to say that N5600 (which can be earned or saved at 14 percent on the N40,000 of capital freed by going into plant A rather than Plant B) is then added to the return of N2000 and the total return is N7600. This is N100 more than can be earned by putting the whole of the N50,000 into Plant B.
Divisional profit should not be increased by an action that reduces total company profit. Each divisions profit should be as independent as possible of performance efficiency and managerial decisions elsewhere in the company i.e. a truly divisionalised company should be something more than a closed investment fund or collection of discrete investments. Each divisions profit should reflect all items that are subject to manager or his subordinates (controllability as a desideratum of divisional profit measurement). If one is to select two factors, which more than any others, are the prime ingredients of profitability presumably high productivity would be the one and marketing effectiveness would be the other. It is easier to measure the first than it is to measure the second. A measure of the productivity of a firm (or one of its divisions) attempts to compare, as between the period chosen for measurement and some base period, either the output obtained per unit of input or the reciprocal of this measure, the input required per unit of output. A choice must be made between measuring total productivity (for the whole segment or all inputs) or partial productivity (single kind of input e.g. labour). If the latter is decided on, one type of resource has to be selected as the input whose productivity is to be measured. The base period must be selected. It should be a representative period (i.e. not an abnormal) period. Outputs are aggregated both in the base period and the measured period. The unit used may be a physical unit e.g. yard, ton, megawatts etc or in money value of standard cost e.g. Naira, Dollar, Pound sterling etc). if production statistics are not directly available, production must be ascertained by adjusting sales for inventory changes. Materials, labour and capital inputs must be aggregated separately for the base year and for each measured period thereafter; materials may be added together in “equivalent units”, labour can be aggregated in manhours for each category, capital input in machine hours etc. If partial productivity measures are required in terms of one of the above inputs, divide the base year aggregated input by the base year output. The results figure of input per unit of output represents a productivity index of, 100. Now multiply the base year n put per unit of output by the output of the measured period. The result would be the input which would have been required to give this output if productivity had remained at 100. If it found that actual input for the measured period is, say, only 91 percent or this figure, then productivity for the measured period has gone up from 100/0.91 or 110. To get 1 total productivity measure, it is usually still best to proceed as above, getting separate productivity measures for each input, and combine them by means of a weighted average. The productivity measurement is useful in control of performance. If the adverse movement can be shown to be outside the control of the management, it could be commended for improving its productivity. Many companies expect their divisions/ranges to watch and report on their “market position” as a gauge of their success in coping with competition. Absolute sales volume, and its trend over time, reflects both competitive power and the size of the total market. Market position takes the size of the market as given, and concentrates on competitive power alone. A divisions market position will be represented by the percentage of sales (or orders received, if this is more representative figure) to total sales in the market as reported by a trade association or as otherwise ascertained by market research. A panel with members being of mixed discipline may appraise each of the company’s main products against those of competitors. Ability to influence price and sales in the market will affect the stability of the firm and the satisfaction of the participant. The procedure for ascertaining the product leadership is carried out in terms of what the customer is believed to want, and on the assumption that minimum costs of production are being achieved for both the ideal and the actual products. A report is made on the products that are regarded as superior, equal and inferior to those of competitors. The number of people promoted in relation to the number of promotable, and the number promotable in relation to the total number employed. The percentage of employees who are developing, who are static, and who are retrogressing. The percentages of employees who are satisfied and who are dissatisfied with their promotion prospects and other aspects of their development. An organization with good personnel development policy will build a virile and contented labour forces and low labour turnover. This can be ascertained through periodic questionnaire. The survey covers such matters as satisfaction with pay, whether the worker thinks his job worthwhile, his promotion prospects satisfactory, and so on. The percentages of positive and negative answers for each category of questions are recorded. For plant workers, more objective figures are collected on absence, tardiness, grievances, participation on benefit plans and so on. Averages are circulated of comparison purposes. Obviously, this gives an indication of level of participant’s satisfaction. The area provides information on whether the company is filling the role it has set for itself as the government and the community. Public responsibility is looked at form a corporate rather than a divisional point of view.